God only knows how director Eugenio Mira sold anyone on his 2013 thriller Grand Piano. The logline—“Die Hard on 88 keys”—is ridiculous, and not even that reductive. 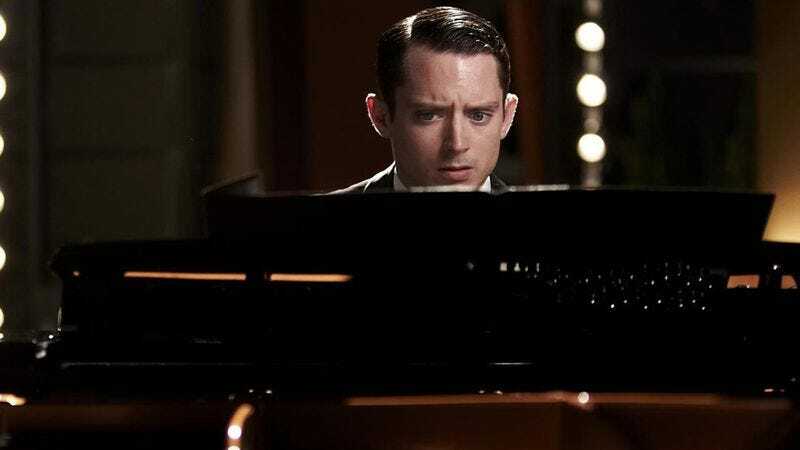 The core concept is just as ludicrous, placing piano virtuoso Tom (Elijah Wood) in the performance of his life and then training a sniper’s bead on him with the threat of a bullet between the eyes should he play a single wrong note. In broad strokes, the film doesn’t sound like something that should last 90 minutes, and it doesn’t sound like something that would actually be good, either. Yet in spite of the absurdity, or perhaps because of it, Grand Piano works, and sometimes dazzlingly well. In fleeting turns, Mira and his screenwriter Damien Chazelle, a guy who knows a thing or two about high-stakes musicianship, own up to the integral silliness of their chosen story; neither is above a little symphony-appropriate wordplay in lighter moments. This genre exercise mostly plays itself straight, however, and finds unbearable tension in the process. Returning to the ebony and ivory after a five-year hiatus following a highly public flub of his deceased mentor’s magnum opus, Tom brings a bad case of stage fright to the bench with him. The sniper’s target compounds an already mounting surplus of anxiety, and if this all wasn’t enough, the sniper tasks him with playing the same composition that bested him all those years ago. (The revelation as to why this gunman has so much invested in tormenting this poor pianist happens to be the least satisfying component of the film.) Viewers who have, say, fouled up at three separate piano recitals in their childhood years may break out in a sweat through sheer solidarity. Mira and Chazelle make for diligent conductors of this piece, exercising ruthlessly precise control over a premise that could go awry with one errant move. The impressive stylistic arias earn this film a lot of goodwill, with Mira’s agile camera swooping freely around the concert hall and luxuriating in the elaborate lighting schemes on- and off-stage. By the time a split screen shows Tom frantically banging on the keys as a potential savior gets murdered in the lobby, the overall vibe practically hardens into a “PROPERTY OF BRIAN DE PALMA” watermark, and still, the high-gloss aesthetic belongs distinctly to Grand Piano—black and reflective, like the finish on a Steinway. The rare film better in practice than theory and not the other way around, Grand Piano transcends itself in short order and then hangs tantalizingly in the air for about 80 taut minutes. For Tom as well as Mira, rigorous self-discipline enables them to redeem a situation liable to to spin out of control at any moment. It’s not easy to sell a friend on Grand Piano as a Movie Night selection without invoking the shaky, time-honored appeal of “just trust me,” but those willing to pay this film the benefit of the doubt will be rewarded with a nimble concerto of suspense. Availability: Grand Piano is available on DVD or Blu-ray from Netflix, Amazon, or possibly your local video store/library. It can also be rented or purchased through the major digital streaming services, and is currently streaming on Netflix.